UPDATED 02/10/11: The transfer of this blog to a new site has misplaced the photos. I’m slowly adding them in, but if you just want to see the photos without all the notes, you can view them in my Flickr set for the 2009 show. 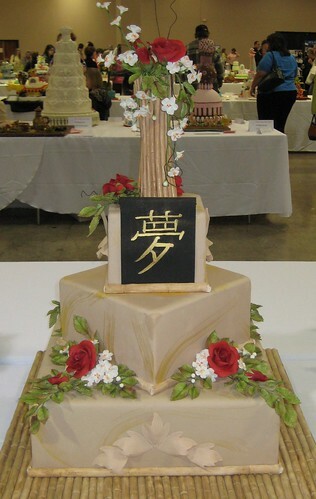 The Masters Division is for decorators who are experts in sugar art. They are known to have mastered specific mediums and techniques. 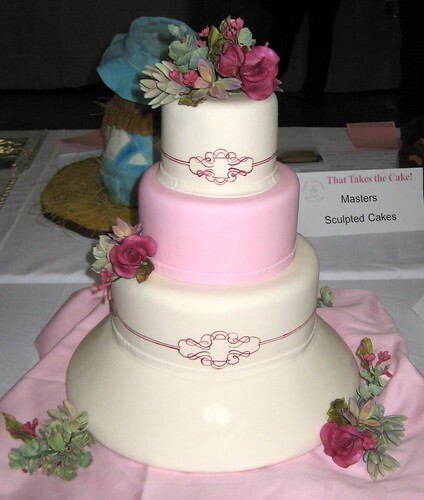 The may be an author, instructor, or work in the sugar art business, and have more than 120 hours of instruction. This division was open to all styles. There were a lot of entries, but the photos below are the ones I found interesting for one reason or another. This looks like something my Grandmother would have kept in her bathroom to hide toilet paper. 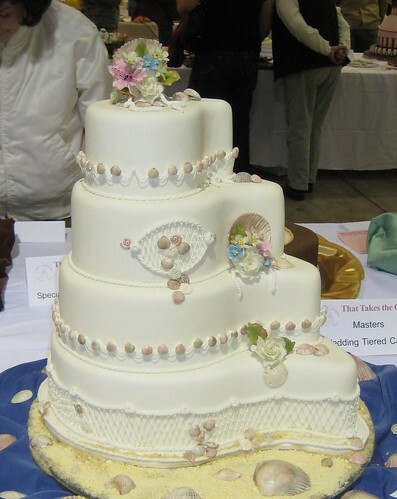 And the pink shells look like they are melting into the cake, which is rather odd. 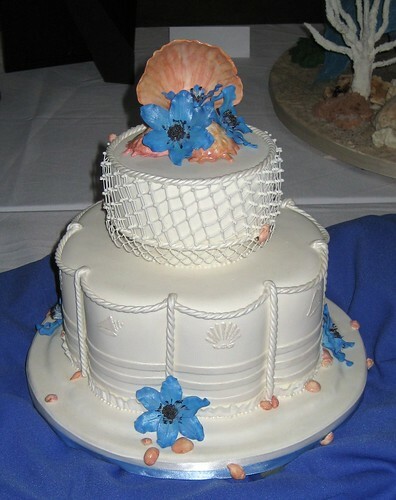 Someone else did a cake with seashells in this division, which is better, but still very old ladyish. Too bad, because the string work on this one is wonderful. The good news is that this decorator entered another cake which would place first for the wedding cakes in this division. But you’ll have to surf through a few more cakes before I show it. I liked this one. It’s very simple and elegant. 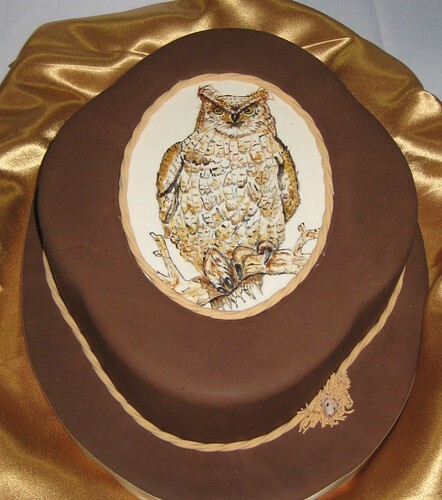 The notes on this cake did mention that the topper had sustained a lot of damage in transit. I wish I could have seen it before all the damage occurred. I was ambivalent about this one, but I did like the tiny mouse hiding in the tassel. I have quite a few more cake photos, but I’m having trouble uploading them. I’ll be back. 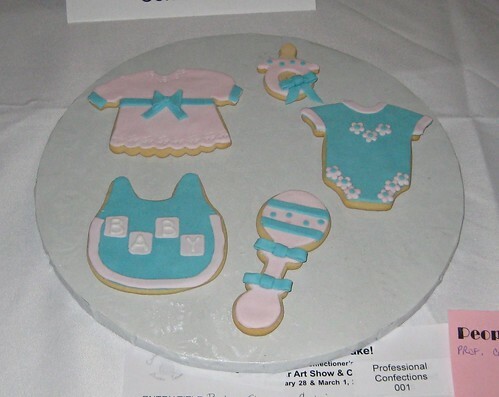 The baby cookies were nice, but several of the ones in the Intermediate division were, well, more professional looking. This a great demonstration of what a good display can do for your cookies. 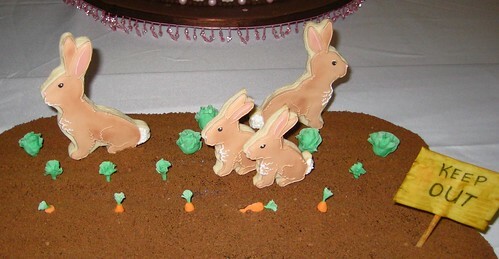 The rabbits themselves are very nice, but the little lettuce and carrots in the garden are adorable and add to the entire theme. I’ll have to remember that next year. Here is another horse. It’s made of modeling chocolate with a little bit of fondant. While the legs are still kinda wonky, this is pretty damn good… but it’s not the best horse of the competition yet. What caught my eye? “heavy metal cello band” While I’m not into heavy metal, I love cellos–an appreciation that developed after my sister finally got past “Mary had a little lamb” on hers while we were growing up. I finally did some research this week on the band Apoclyptica and they are actually quite good. Good enough that I pulled them up on iTunes and purchased some of their songs. I’ll probably run to Waterloo Records one day and see if they can order a few albums so I can pass them on to my sister and my nephew, who is now learning to play the cello too. Another special technique not on cake. I wish they hadn’t used a mirror to display it, it kind of detracts from all the work that went into it. And this was the last of my photos from the professional division. Up next will be the Master’s Division.